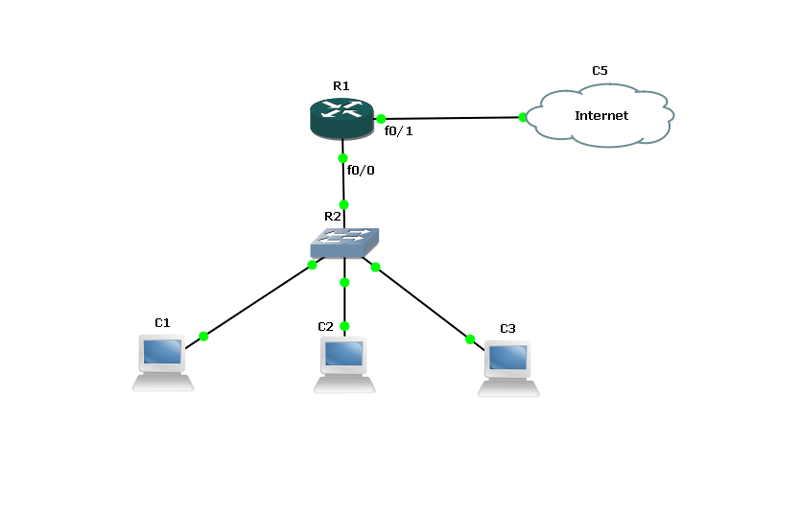 i was searching on the internet how to implement Dot1x in GNS3, the problem was that 802.1x depends on physical ports, i tried it on GNS3 but failed. thanks to Allah finally i came across the following video, it solved it, yes. 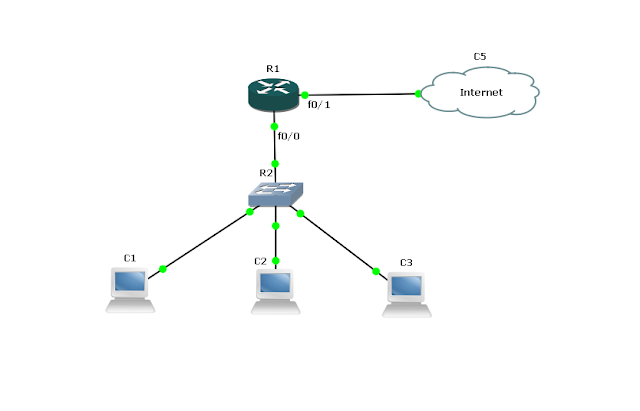 the magic is that you make the SVI of the switch the default gateway for your client and for your router, thus the switch redirect your authentication request to the Radius " ACS " server. i know it may be silly to talk about this method of denying acceess to certain websites, but i mainly intend to show you a quick method of denying access to certain websites without the need to use advanced web filtering programs that may need a dedicated server or even multiple servers to do this task. look this method may be vulnerable or easily bypassed but anyway this is the case over here. but what about using https??? but this will deny the https access to any web content that is encrypted using https "port 443". this is because cisco has other web filtering solutions that give you more flexibility of web filtering so it did not allowed us to use the https with the website name. so if you decided to prevent the https, Firefox has a powerful addons that allows you to open whatever you need using https, i came a cross a powerful one called "https every where", really awesome. hope that has been informative to you and i would like to thank your for following this blog.